Tomocarl from the Sound Department again. 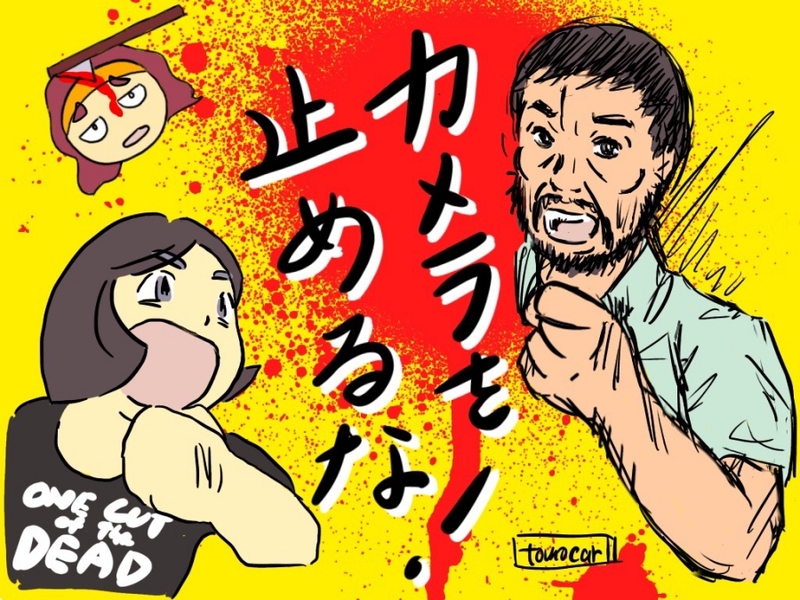 Have you heard of this film called One Cut of the Dead? It’s an indie workshop film, and is currently garnering a lot of attention from various film buffs and industry folks. I actually saw the director of this film, Ueda Shinichiro, at the 2015 Chichibu Film Festival, and have been following him on social media ever since. It goes without saying that I was looking forward to his first feature-length film, but…no one saw a breakout hit like this coming down the line. But yeah, after I saw it I knew straight away what the key to its popularity was; its snarky, cheesy, masterful comedy! The shooting of this zombie flick was not going well. This can’t even be called ‘directing’, it’s just absurd. Even though they had the perfect abandoned power plant to shoot in. The director had gone out of his way to find this place, an abandoned facility situated in a dense forest- without a doubt it was the perfect location for a horror film. However, it also had a shady history surrounding it. It was said that in the past, human experimentation took place there. Perhaps the director did not choose the location for its aptitude as a set, but instead for its background. As the crew carry all their equipment for blood effects up to the roof, the director issues a direction that wasn’t in the script. In order to capture true fear on camera, a ceremony begins – for the walking dead. The intro sequence where the film crew is attacked by real zombies is an unbelievable 37-minute continuous shot! You really get a sense of their love for film in that sequence, so I ask that you give it your undivided attention. so make sure you keep watching until the very end! Its content also helps demonstrate the impact of its beginning as a workshop project, and the fun of just making films. It can only be called a miracle. A grand- no, a spectacular miracle! I hope you’ll enjoy One Cut, from the ever-impressionistic Ueda Shinichiro, as well as its infectious smiles! PS: I got to meet the guest for this screening, Daihachi Yoshida (director of works such as The Kirishima Thing), while waiting in line! I got to see Daihachi Yoshida too! Talk about great luck!